Two of Navajo Express’ drivers, Bruce Brown (top left) and Charles “Charley” Hamilton (top right), were awarded with the esteemed Driver of the Month Award. 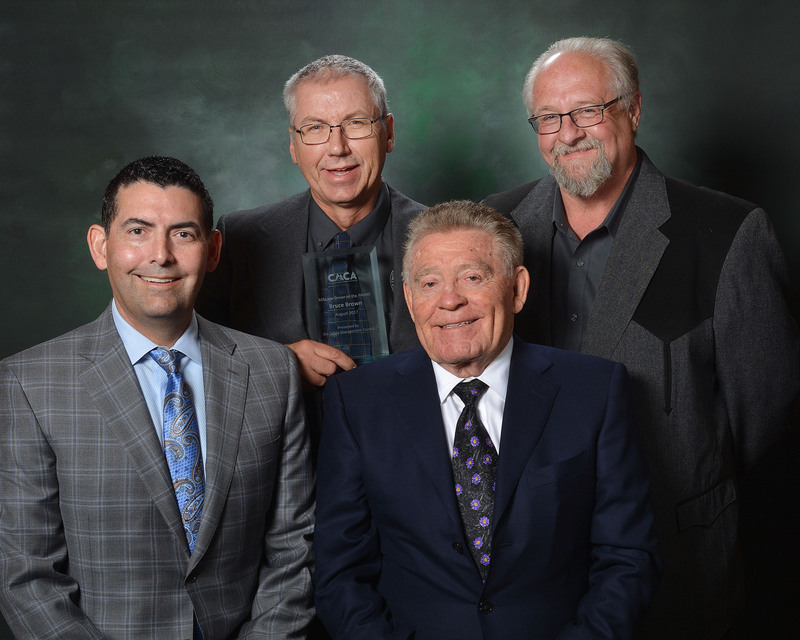 The Colorado Motor Carrier Association (CMCA) hosted their annual Safety Awards Banquet April 13, 2018 in Denver, Colorado. The awards program recognizes Colorado companies, drivers and safety professionals who show dedication towards highway safety practices and procedures. Two of Navajo Express’ drivers, Bruce Brown and Charles “Charley” Hamilton, were awarded with the esteemed Driver of the Month Award. Awarded drivers are chosen based on their safe driving records, acts of courtesy/safety on the highway, or for performing a heroic deed. Brown has been with Navajo Express since 2002 and has 27 years of driving experience. During his professional career, Brown has driven over three million miles with zero preventable accidents and only six non-preventable accidents. Since 1999, Hamilton has been a diligent, dedicated driver for Navajo Express. In his 36 years of driving, Hamilton has accomplished five million miles with zero preventable accidents and has been recognized with numerous safety awards. Along with Brown and Hamilton, Navajo Express was awarded Honorable Mention in the Truckload Division. With more than 75 years of experience facilitating transportation solutions, Navajo Express’ services include dedicated fleets; dry, reefer and regional options; intermodal; specialized equipment; and truckload services. Navajo Express delivers superior results to business partners through advanced shipping concepts and world-class customer service. Founded by Don Digby Sr. in 1981, Navajo Express’ headquarters are located in Denver, Colorado with six other terminals nationwide including Salt Lake City, UT; Tolleson, AZ; and Rockwall, TX. For more information on their shipping services visit www.navajoexpress.com.